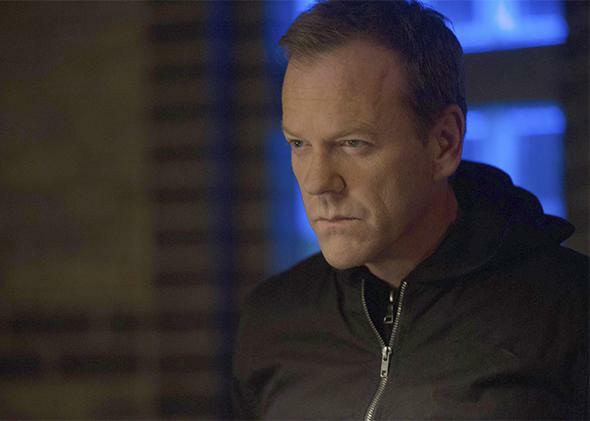 New 24 miniseries, Live Another Day, starring Kiefer Sutherland, reviewed. Jack Bauer returns to face his own legacy of torture. Kiefer Sutherland returns as Jack Bauer in 24: Live Another Day. When 24 ended in 2010, it already felt like a relic of another time. The action series premiered in 2001, two months after 9/11. By the end of the second season, the show and its hero, Jack Bauer (Kiefer Sutherland), had become not just practitioners but propagandists for the efficacy of torture. Jack Bauer personified a very specific, post–9/11 fantasy that what America really needed to be safe was somebody willing to break the rules on our behalf: We were better off with unethical, lethal intelligence officers and services than with ineffective ones. If Jack stopped those who would do us harm, the ends always justified the means, even if the means involved hooking a state’s witness to electrodes, breaking a source’s fingers, or coercing another into giving information by staging the execution of his son. By 2005, four seasons into its eight-season run, its ratings continuing to rise, 24’s essentially pro-torture position began to attract attention. A New York Times piece argued that the show was “normalizing” torture. In 2007, Jane Mayer published a damning New Yorker story on the series and its creator, Joel Surnow, which argued that 24 was essentially carrying water for the Bush administration’s torture policy, softening opinions on torture among civilians and the armed forces, despite the fact that 24’s portrayal of torture was not just ethically wanting but logically lacking. Torture is wrong and also torture doesn’t work, but on 24, torture invariably worked. After breaking that source’s fingers, Jack always got good intel. By 2010, as the black-and-white “clarity” of the immediate post–9/11 moment had faded, the bloodthirsty and jingoistic confidence of 24 became as cartoonish as its increasingly preposterous plots. Every season, Jack Bauer had the “worst day of his life” all over again, a 24-hour action movie full of reversals, moles, nuclear bombs, assassination attempts, terrorists, and cougars, the show’s storylines getting grandiose and ludicrous nearly in lockstep with its politics. But whatever else Jack Bauer was, he was also a hit. And so four years later, with TV networks scrambling for event programming, Jack is back with a new 12-hour season of 24: Live Another Day, starting Monday night on Fox. In the past, any soul-searching about 24’s relationship to torture has gone on outside of the confines of the show. (Howard Gordon, onetime 24 showrunner, is also one of the creators of Homeland, which The New Yorker’s Emily Nussbaum has argued is a kind of rebuttal to 24’s position on terrorism, showcasing the efficacy of all the long-term, nonviolent counter-intelligence work that 24 eschewed. Gordon is an executive producer on Live Another Day.) But in the new miniseries’ opening installments, 24 makes some half-hearted efforts to contend with its own legacy. When we last saw Jack, he had been deemed a traitor by the U.S. government for killing Russian diplomats and attempting to assassinate the president, though, of course, these things were all done in the best interest of the country. Wholly misunderstood if not quite wrongly accused, Jack went underground. The new season begins in London, where Jack immediately proves he is still a badass, beating up squads of highly trained men, blowing up a building it should be impossible to blow up. He has arrived in London to thwart an attack on the president—Jack’s old boss, former Secretary of Defense James Heller (William Devane)—who is there to convince parliament to let the United States maintain a drone base on British soil. But having mildly acknowledged Jack’s ethically complex past, 24 gets right back to mind-numbingly over-the-top action. (Chloe, after being tortured and stabbed in the heart with an adrenaline needle, is almost instantly fine.) 24’s vaunted format—the clock ticking, right through commercial breaks—does imbue everything that happens on the show with a sense of narrative urgency, but it’s a cheat. The show gets to substitute propulsion for any real nuance. The ticking clock was always one of the justifications for the series’ reliance on torture: Facing it, agents (and writers) needed a tactic that worked instantly. Now the ticking clock just counts down to the next big fight sequence, which Jack will inevitably win. The contemporary anxiety 24 hopes to exploit this time around is of drones and of the increasingly dehumanized nature of warfare, but it has become a sort of dehumanized show, populated by barely human characters. Jack is as monosyllabic as the Terminator, more unstoppable, and less emotive. If torturing and being tortured are what have rendered him so broken, they have not had a similar effect on his unparalleled ability to escape any situation, take on any threat. He’s still presented as Superman, but he’s barely human. Whether we need or want him, he’s continuing to fight the maybe not-so-good fight.